At this age of technology, PCs, mobile phones, laptops, tablets, MP3s and printers continue to evolve, improve and innovate. Mobile phones now have evolved to smart phones, Desktops into laptops to tablets, MP3s to MP4s to iPods. Now, printers are not far behind in terms of innovation. The printers’ industry has invented the 3D printer and it has been in the market not only for huge corporations or factories but are now created and made affordable to individual professionals with specific and special printing needs. Though 3D printers have been made affordable, purchasing one is not as easy as buying a normal printer. 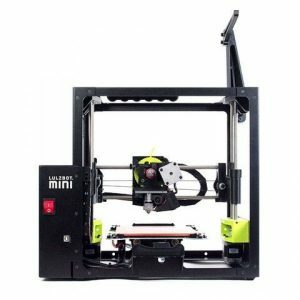 Numerous factors such as affordability, functions, specifications, features and needs are just some of the considerations one has to mind before deciding on which type, kind and brand of 3D printer that will suit your tastes and needs. If you are looking for a 3D printer and do not know which to buy, you could check the list below for the best in the 3D printer industry. The FlashForge 3D Printer Creator Pro comes in a sleek black color which adds to its professional look. You would find a clear acrylic panel designed in front of it and a blue LED light inside which allows you to view your printing job while it is being printed. You will be able to view the printing process of ABS or PLA plastic turning into your printing job and see at which stage your printing job is at. The size of this printer could be considered as huge and the reason for its size is to provide space to build prototypes and replacement components. Its frame is made of solid metal chassis. This metal chassis was improved from creating loud sound to being more silent, has lesser vibrations and more precise print heads. Also the FlashForge Creator Pro has a z-axis guide rod and rubber stands which makes this device stable and sturdy. It’s printing speed is much faster and lesser printing errors. The software of Creator Pro is compatible with most operating systems including Linux and its operations is run through open source- Replicator G or MakerWare software. Moreover, the input file types on STL and gcode. As for its connectivity, an SD card slot and USB slots are part of the device. This 3D printer is recommended for intermediate to advanced users. For new users, the LulzBot Mini is highly recommended as it is easy to install and easy to use as well; yet, it also produces quality prints. This printer comes in black steel frame and is openly exposed without any coverings on its sides and top. It has a red switch and USB port on its front side. As for its printing materials, the LulzBot is compatible with ABS, PLA and HIPS filament. Its printing thickness is only 0.05 which makes your printing job look clean and smooth. Its printing speed is 275 mm/sec at 0.18-layer height. As for its print area, since the device is mini, the print area is also small. However, this is compensated with how high quality it prints. It is also very reliable and could be used for long period. 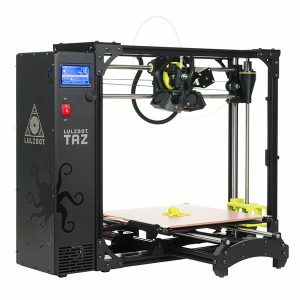 Lulzbot uses Cura software and is well designed. Highly recommended for entry level, beginner users. 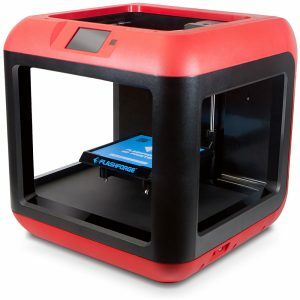 A 3D printer for beginners and amatures, the FlashForge Finder 3D has a plug and play easy feature. It was designed with a square shape and rounded edges. Though its frame looks like it’s made of plastic, it is durable and sturdy. The FlashForge has a colorful panel where you can load and unload filaments. However, take note that the only filament that could be used for this printer is only 1.75mm PLA. Another cool feature this printer has is its MK 10 brass nozzle and thermal barrier guide tube. These features help in making its extrusion process more efficient and effective. Also, this printer is not as noisy as other printers as it only has about 50 dB noise level. As for its connectivity, this printer allows both WiFi and USB connection and as for the most important consideration in purchasing a printer is its output- printing quality. FlashForge Finder’s printing quality is worth is price. 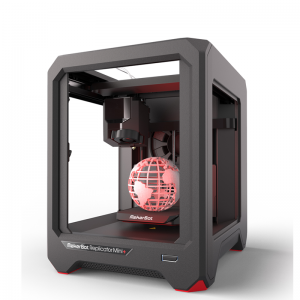 As the fifth edition, the M2 has its goal of creating a 3D printer to perfection. As with perfection comes high quality and with perfection and high quality comes with price. Yes, this model is a bit more expensive than others but it is worth it and is a great investment specially for professionals. M2 is made of steel frame and cast aluminum which contributes to the precise printing quality. It could print layers even on thin paper. It is also durable, stable and doesn’t have the usual problem of misalignment. As for its filaments, this printer is compatible with not only ABS and PLA bit also with flexibles, Nylons, Thermoplastics and Polycarbonate. For its carriage, it has ball bearings and X and Y linear rails which results to precision. Its printing speed is about 80- 100mm. 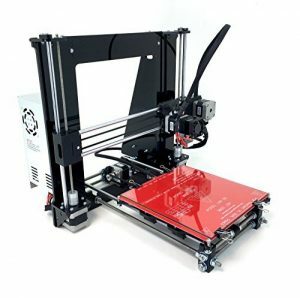 The MakerGear M2 is highly recommended and a great investment with its reliability, stability and it being low maintenance. Plus, you will never have a hard time operating this printer as it comes with a guide. You will never go wrong with this model and brand. Created by Aleph Objects, LulzBot TAZ 6 is the 6th generation of this model. Though its aesthetics are not as classy and as good looking as its other 3D printers, TAZ performance is at par to industrial level printers. It is efficient, provides high quality prints and runs on automated features. Its automated feature ensures the printer to be user-friendly and easier to use. Filaments such as ABS, PLA, Alloy 910, Nylon and Polycarbonates could be used and are compatible to this printer. The TAZ is made of study materials such as metal for its frame. This printer is also an FDM printer which comes with a printing speed of 200mm/s. With its reliability and consistency, this printer is the best printer for those who are in a budget. Great features, sturdy, reliable, efficient and consistent. What more could you ask for? 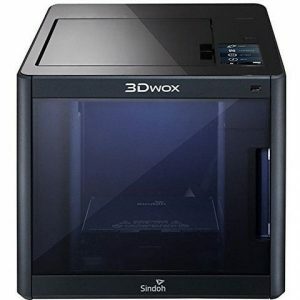 A Korean brand specializing in 2D printers, Sindoh has moved on and joined the 3D printer industry. The 3DWOX DP200 is designed with sleek elegant black color. 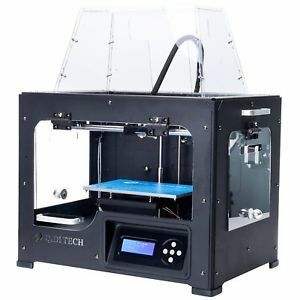 It is plug and play like 2D printers which makes this model easy to use. It is also designed with enclosed casing which helps make the temperature consistent and lowers its noise level to minimum. 3DWOX runs on filament loads automatically which makes changing of filament easier. All you have to do is insert the cartridge and you are good to go. It is also compatible with ABS or PLA filaments. This model has a 5” touch screen which lets you control and monitor your printer. Through this feature, you could also preview the image of the one you are printing. 3DWOX also comes with a camera and an LED light. These allows you to view your project on your phone or tablet, if you wish. As for its connectivity, it could be connected to a laptop or desktop through USB or Ethernet/ WiFi. For well balanced, good-looking and efficient printing, the 3DWOX is a great choice for your 3D printing needs. 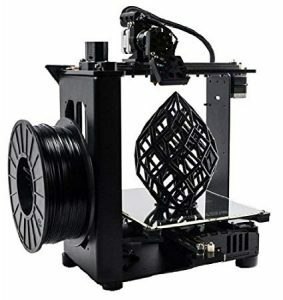 The RepRap Guru Prusa I3 V2 3D Printer is popular to those who are hobbyist in the 3D industry as it is open source and is very affordable. The only difference of this printer from other 3D printers is that you will need to assemble this printer yourself. Though this might come as a challenge for you, Prusa makes it easier by providing a comprehensive guide. By this DIY printer, building it yourself provides you to have an intimate relationship with every part of this printer and through this, you will have better knowledge on how each part works. Another advantage of this model is that it gives you the elbow room to upgrade and modify the printer any time you want. By purchasing this printer, you will be provided with a kit which will not let you have a difficult time as the materials are prepared for you and you will not have to do the dirty work of having to cut or drill anything. The 3DP-QDA16-01 comes with Dual Extruder and is made of metal frame which provides stability and consistent temperature. It plate uses aviation grade aluminum which controls the temperature from rocketing sky high. It connectivity uses SD card and USB. 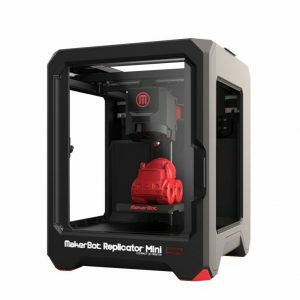 Its software requires MakerBot Replicator which could be downloaded. Before purchasing this printer, you have to ensure that its software is compatible to your OS. Once it is, this printer is easy to use and easy to get a hang of. Should you have any problems with this model, QIDI has customer service to help you with every issue you could encounter. 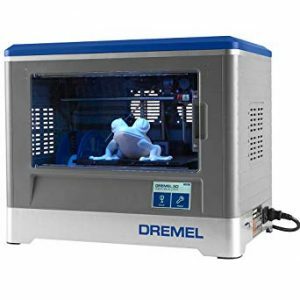 The Dremel Idea Builder 3D Printer is ideal for beginners. It is another plug and play printer and is easy to set-up. It has a touchscreen which guides you on how to load and upload filaments. It also comes with an SD card. The design of this model is it has enclosed panels which could be removed and a window on its front area. With this type of design, the noise level is reduced. It is also easy to clean and is ideal for home use. This printer also comes with an LED light which is programmable. For its filaments, Dremel uses PLA filament and has standard resolution of 100 microns. Its printing speed is about 150 mm/s. 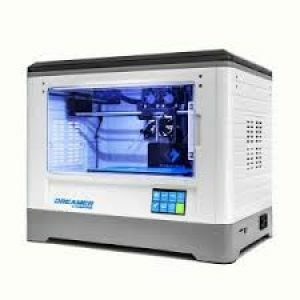 With reasonable price, this efficient, reliable and for heavy use 3D printer is another recommended 3D printer that could suit your 3D printing needs for both professional and home use. Created for professionals, this newly improved Replicator 3D printer is faster and is quieter in terms of noise level. The Replicator+ has an open frame design which allows you to view your printing job easier. The makerbot comes with an LCD on its top which provides instructions on how to operate the printer. 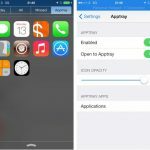 Through this feature, it makes it easier to control and to operate the printer. As for its connectivity, this printer uses USB, WiFi or Ethernet. Aside from that, this printer also comes with camera which allows you to monitor the progress of your printing job. Its printing quality is great and it creates layers from 100 to 400 microns in size. As for its printing speed, this printer is beyond comparable. However, you might have some difficulty in removing your finished prints from the printer bed but that’s minimal compared to all the features this printer offers. M200 is known for having the right balance for a 3D printer. It has wonderful design, great printing results and is reliable. The M200 is a plug and play printer which makes it easier to use and set up. 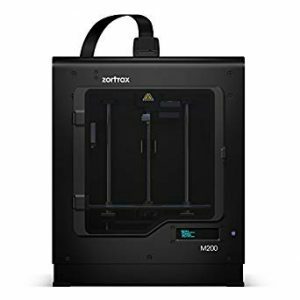 As for its design the M200 works on a movable X and Y direct feed print head and a vertical Z plane. As previously stated, the M200 is easy to use with its materials, speed, plate temperature wherein you would not need to modify just to get that right high quality printing job done. This printer also comes with an auto leveling print bed and has an automatic loading and unloading filament system. For print quality, this printer goes beyond the normal quality of a 3D printer as it could compete with other industrial used printers. Its resolutions could go as high as 25 microns which could give your printing job a great look. The only downside of this printer is its printing speed as the M200 could only go as fast as 100mm/s. Flashforge, a Chinese manufacturer which could compete with any beginners or entry level 3D printers created the Dreamer 3D which is perfect for hobbyists. 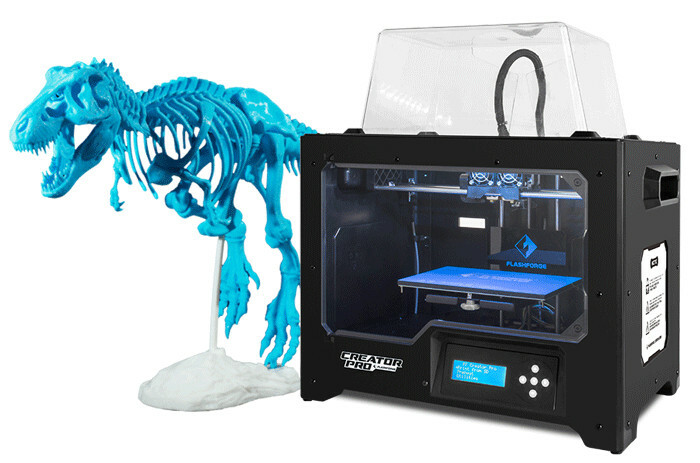 The Dreamer 3D is created with plastic alloy and is an enclosed printer. This printer is compatible with ABS and PLA filaments. It also comes with 12 LEDs which lightens the printer in different colors. 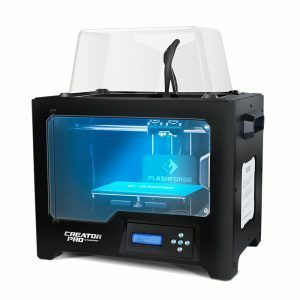 The Flashforge Dreamer Printer is easy to set up as well. All you have to do is calibrate and load the filaments and you could start printing. This printer comes with dual extruders which allows you to print in multiple colors. The software that Dreamer uses is also easy and simple to use. 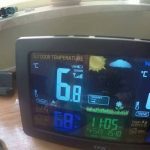 It also has an LCD touchscreen and uses USB, SD Card and WiFi for connectivity. The Dreamer is recommended and is a great option which packs with useful features and sells at a reasonable cost. As a newer version, the Replicator Mini+ is much faster, quieter and is perfect for larger prints. This new printer version improved its filament routing and has redesigned its Z-stage which makes this printer more reliable and precise. Aside from that, this printer has introduced its new feature which is the Grip Surface. This feature ensures prints have better adherence and reduces warping and curling. This printer is user friendly and is easy to set up. You could set up this printer through its MakerBot app which gives you a stop by step procedure on how to use your printer even without having to connect your device to a desktop. Aside from that, you could monitor your printing job through its onboard camera. It also has a cloud feature which enables you to manage your printer even when you are not near it. As for its filaments, this printer only uses PLA. Its noise level is much quieter than other models and lastly this printer could be used for longer periods. 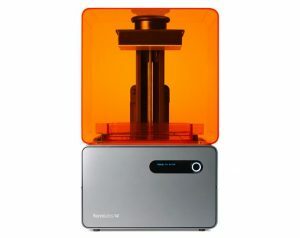 The Formlabs Form 1+ is an SLA printer which uses resin and lasers to print. It is known to be more accurate and precise in its printing job through its layers of resin and it being cured by UV light. This printer is smaller than the usual size of a 3D printer. It is in fact only 5x 5 x 6.5 in in size and weighs about 28 lbs which makes this printer portable. When it comes to printing, the formlabs form 1+ can print up to a layer of thickness of 25 microns. Its printing speed is also much slower than other printers but is much quieter. The Ultimaker 2+ 3D Printer is best as its industrial level. However, as it is one of the best, this printer could be a bit more expensive. It is designed with elegance. Setting this printer up is easy and comes with a guide of instructions. It also comes with a free Cura software which helps you take care of the important details. As for performance, this printer has a geared feeder and it also allows you to switch filament nozzles which gives you high quality printouts. This printer is compatible with PLA and ABS materials. It is open source. Its noise level is also quieter than usual and its speed is controllable based on your preference. 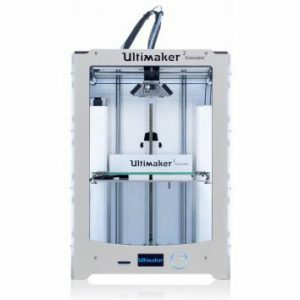 The Ultimaker 2+ 3D printer is best for those who needs a new machine for business and for engineers who need a reliable and efficient 3D printer.